Among the many manifestos that I have made this past season; most notably wide-leg pants, mixing prints, oversized coats, and over-the-top fur, I have not forgotten about what has been occurring below ankle level. Knee-high boots are more prevalent than booties, the platform shoe is not dead, and we see the return of the pump. It’s fine by me, time to move on. New York saw the return of this lady-like pointy accessory at Thakoon, Peter Som, Derek Lam, and others. And with that single sole and pointed-toe comes the repair bills and cramped toes. Both Dolce and Gabbana and Christian Louboutin have shown relatively wearable heels so far this season, so I’m ready to call it a full-on trend, and a welcome one at that. At Balenciaga, the shoes, if anything, are known for being back-breakingly tall. I have never been able to wear a pair myself although I have always admired women who could. This collection, while still in the three-to-four inch range, are considerably shorter than the five- and six-inchers that the brand is known for. These are basically wedges, which means they’re likely to be the most comfortable runway heels that Balenciaga has produced since the brand put a spin on the Doc Martens. From Miu Miu to Dior to Prada to Louis Vuitton, the 70’s platform was rehashed in a higher groovier way, this time with a heel that’s thicker than those we came to know during the mid-2000’s but no less vertiginous. In fact, between these snub-nosed Vuitton shoes and those featured at Prada, which had several models struggling to make it down the carpeted catwalk, heels may be bigger than ever. And we know this season was less about wow, more about practicality and a bit costume-y, right? Miu Miu. Photo Talk Shoes. 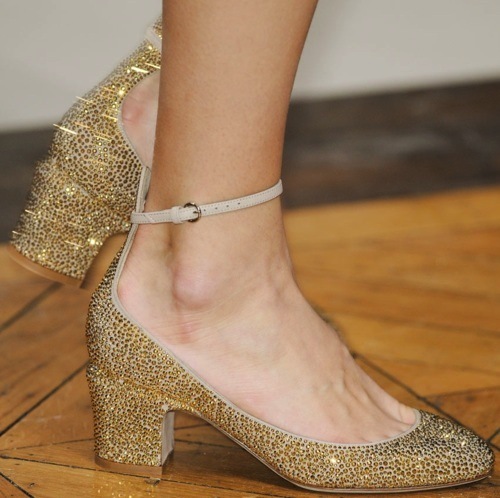 My feet are dreaming of these Chloé shoes. 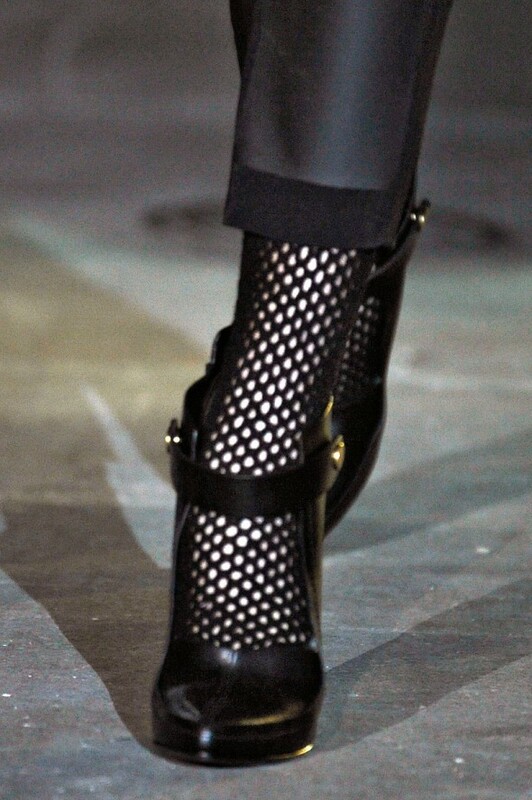 If you are not on constant personal display, the rise of the chunkier heel is kind of grandma cool. If you have forsaken the breathability of your feet the past few season, take hold. Already adopted by the high-stepping crowd, these not over-the-top mid-level heel could already have legions of fans and waiting lists including me. What are your favorites? Do tell.